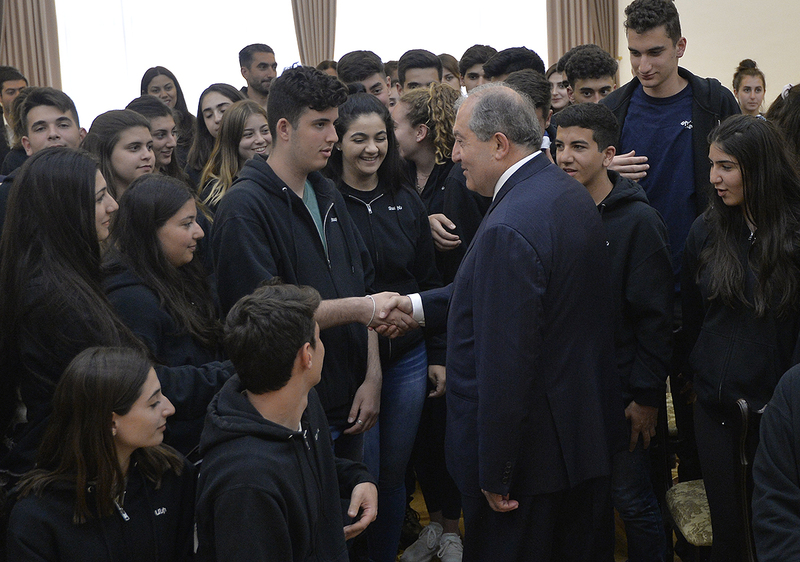 President Armen Sarkissian received today students and teachers of the Rose and Alex Pilibos Armenian High School located in California, US. 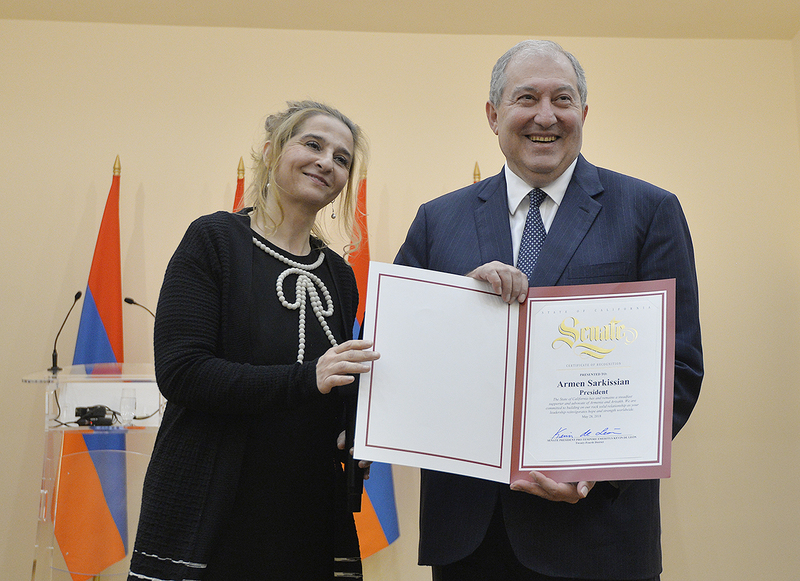 Among the guests was also the representative of the President of the California State Senate, Armenian community activist Paytsar Tovmassian. 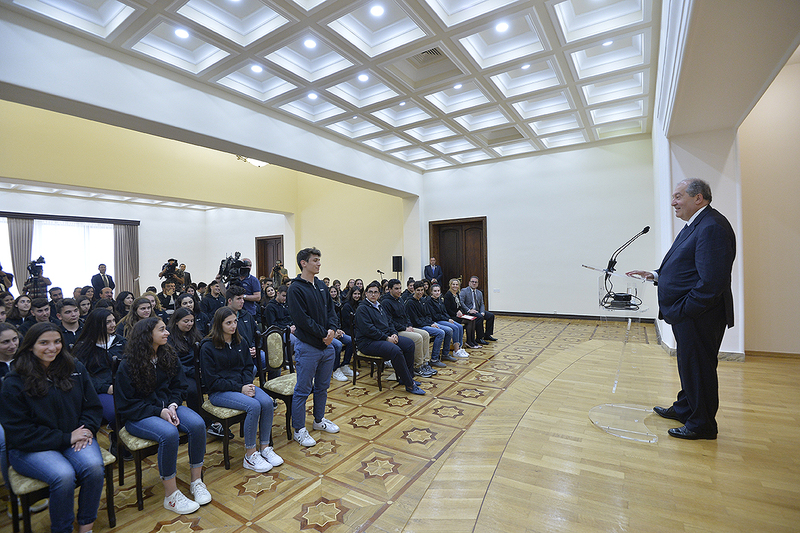 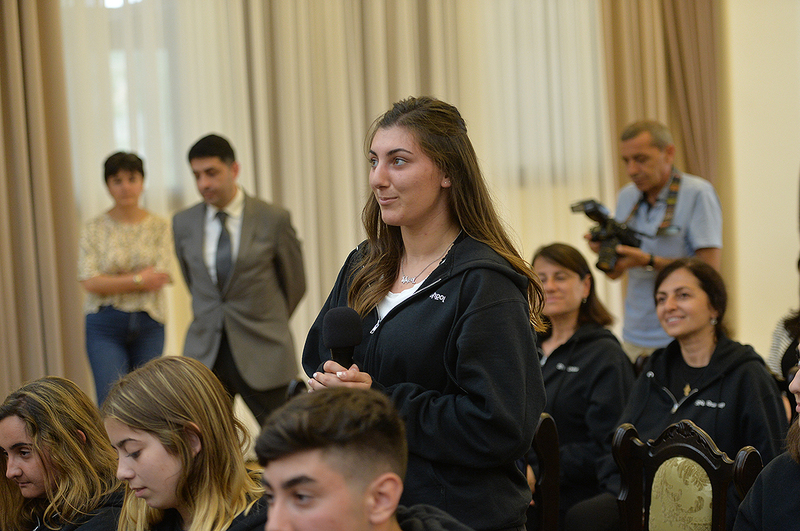 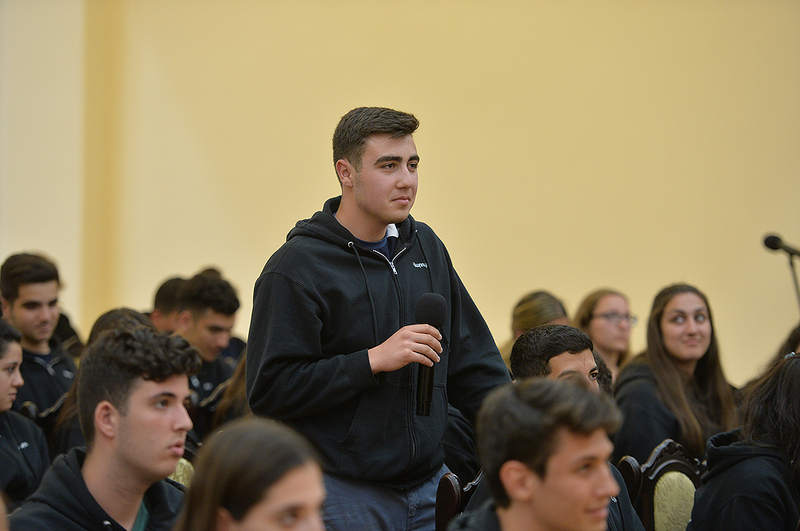 At the meeting, the students of the Armenian School noted that they were glad to visit Fatherland, have already visited Artsakh and shared their impressions. 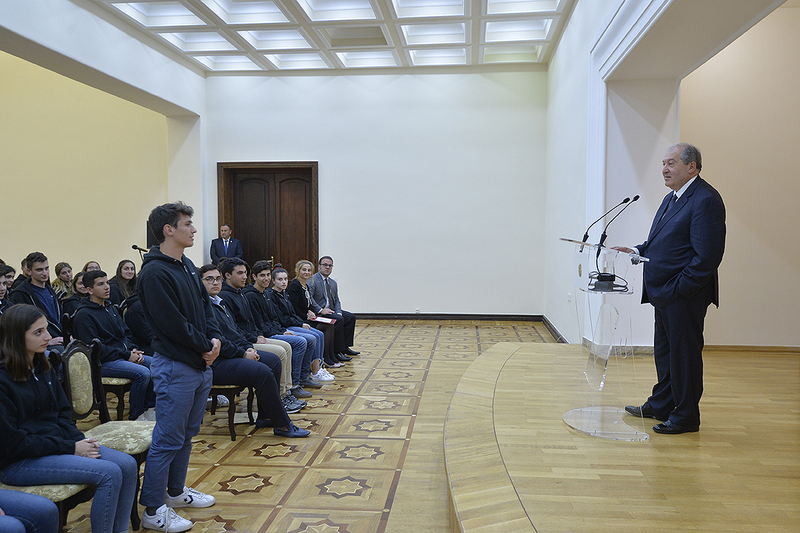 The President conversed with the students from Diaspora, listened to their views and opinions, responded to the inquires which were related mostly to the empowerment and development of Fatherland, attraction of Spyurk potential, etc. 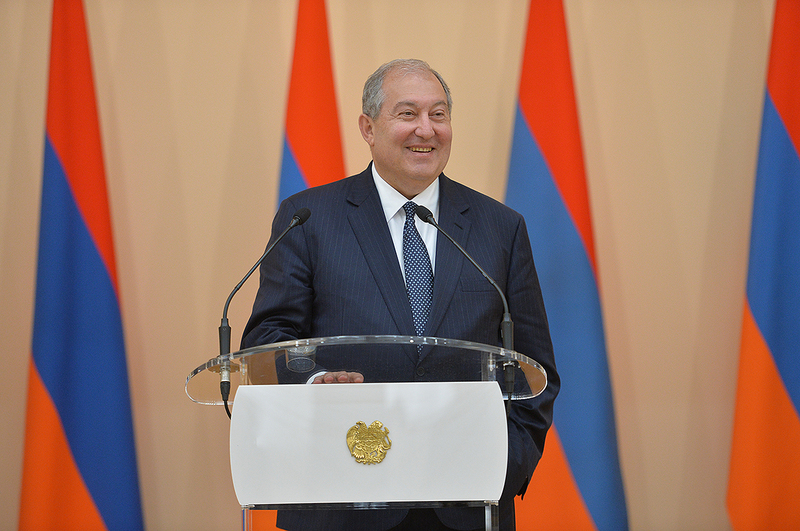 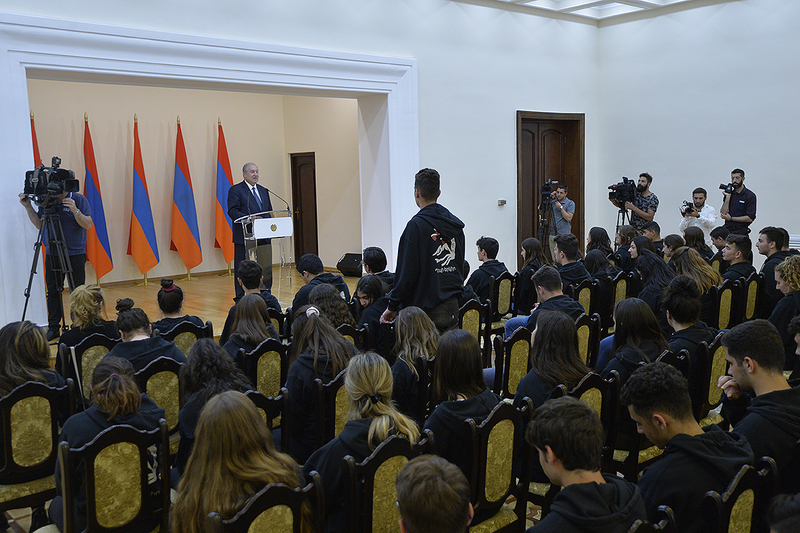 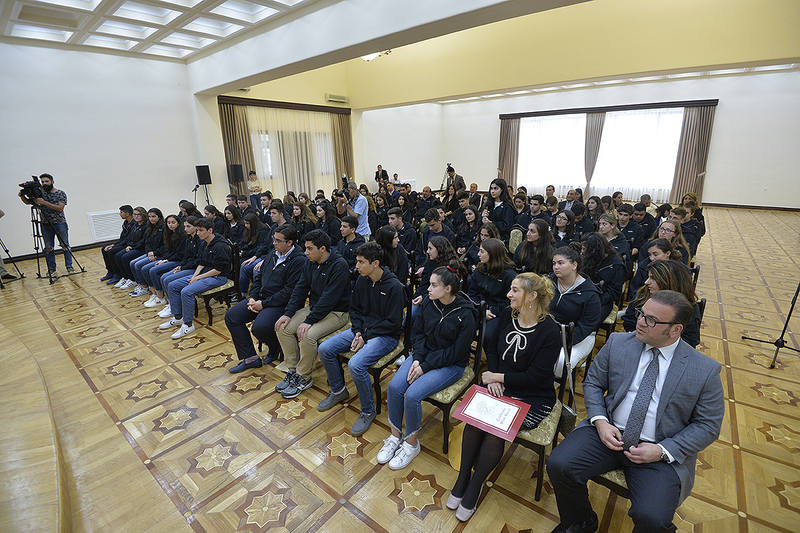 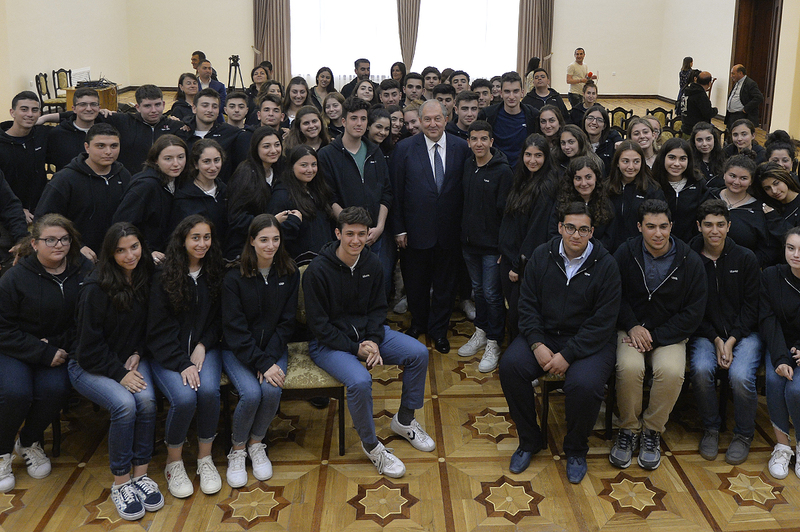 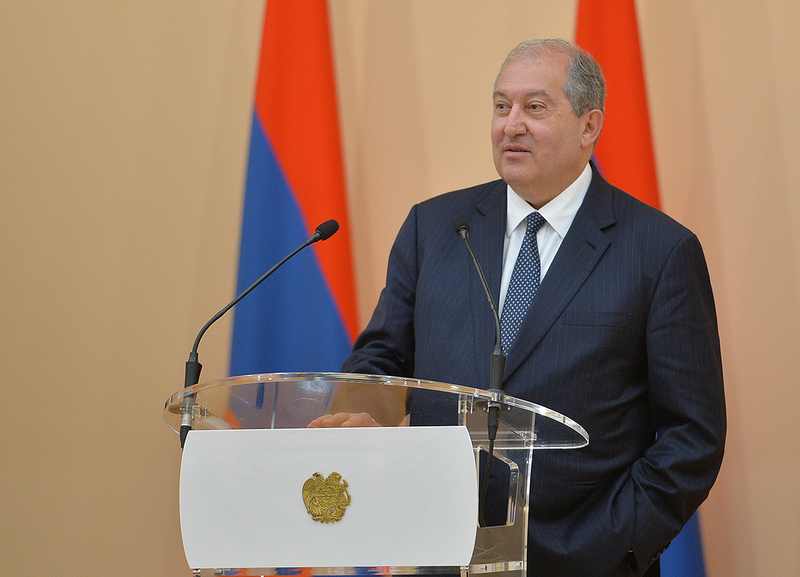 President Sarkissian urged the students to visit Armenia next year too. 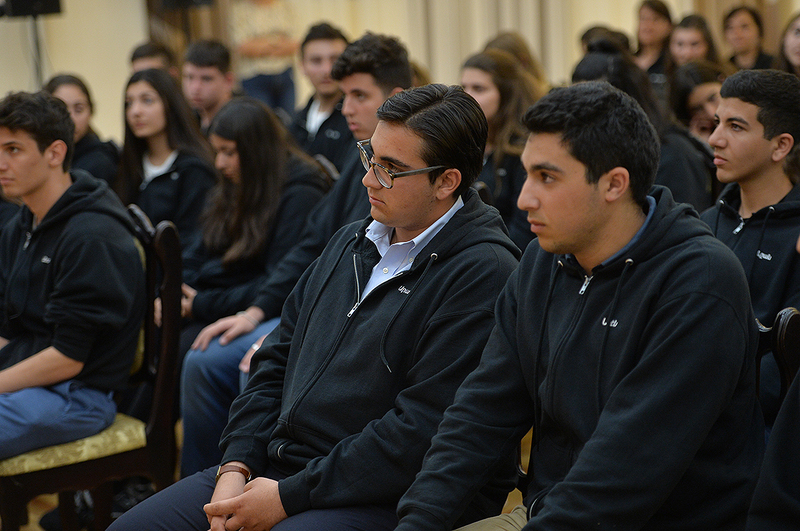 “Each of you should know that you are home here. 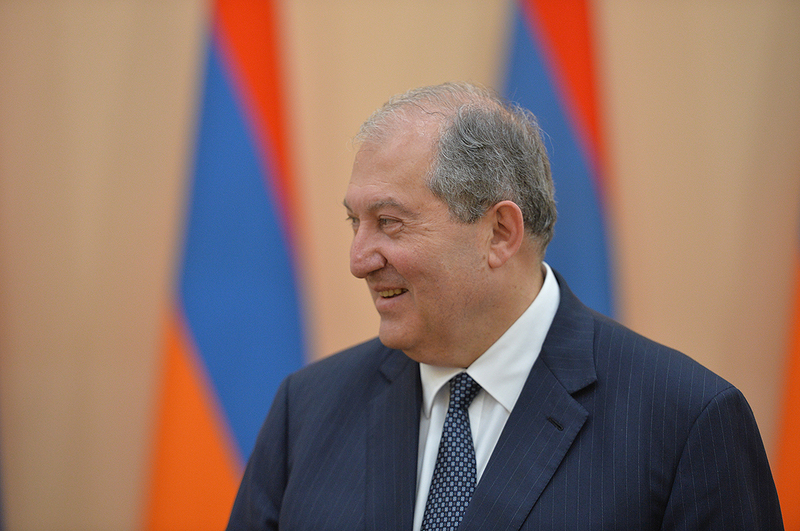 This is your home, and there is no home like Armenia. 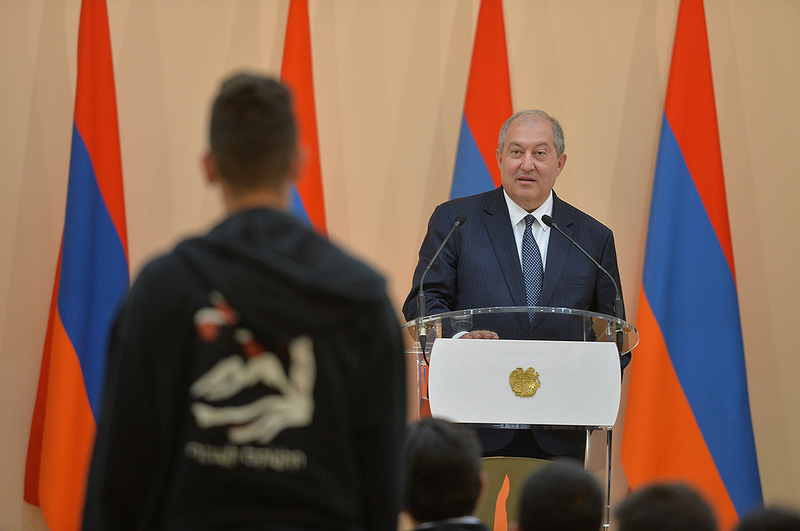 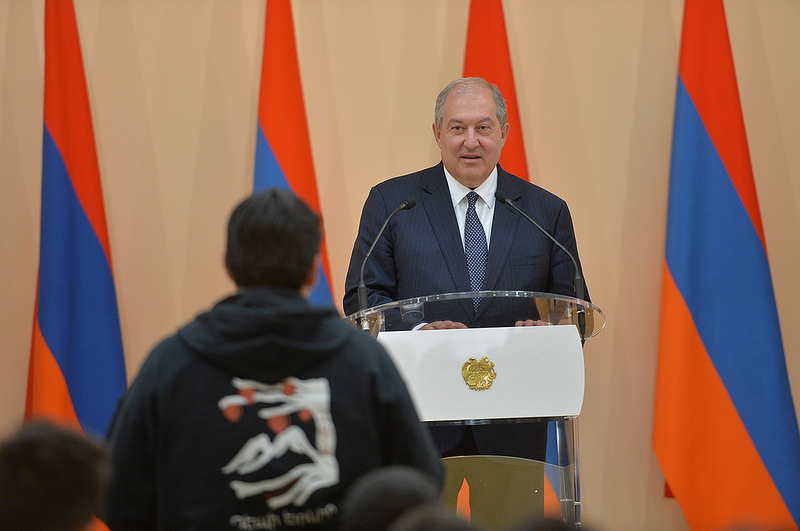 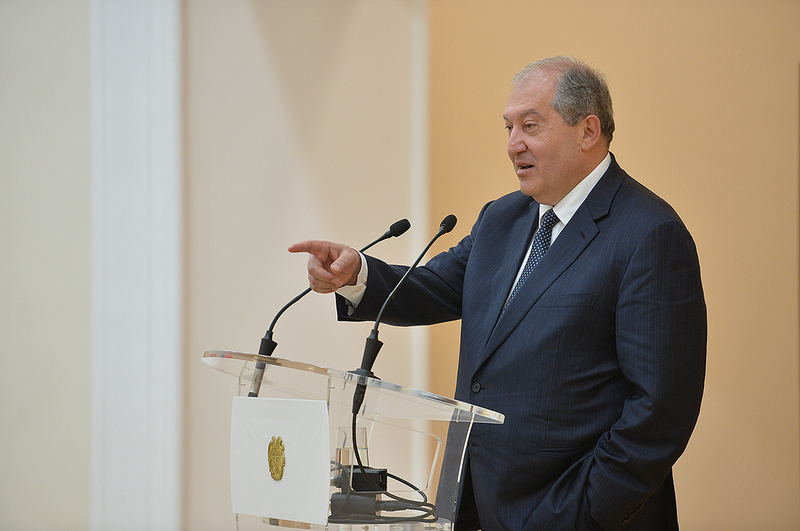 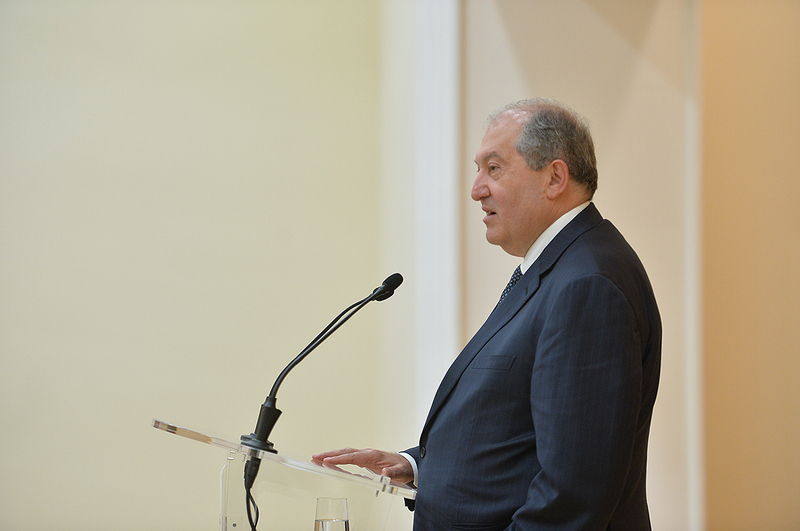 You are bright young people and should be proud to be Armenians,” President Sarkissian said. 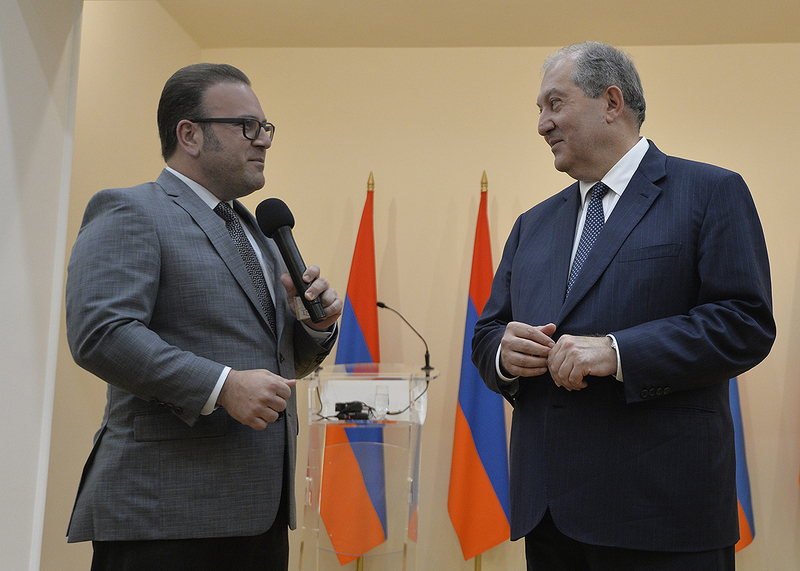 At the conclusion of the meeting, Paytsar Tovmassian conveyed to the President of Armenia congratulations of the President of California State Senate and added that generations raised in Spyurk are also ready to serve for Fatherland. 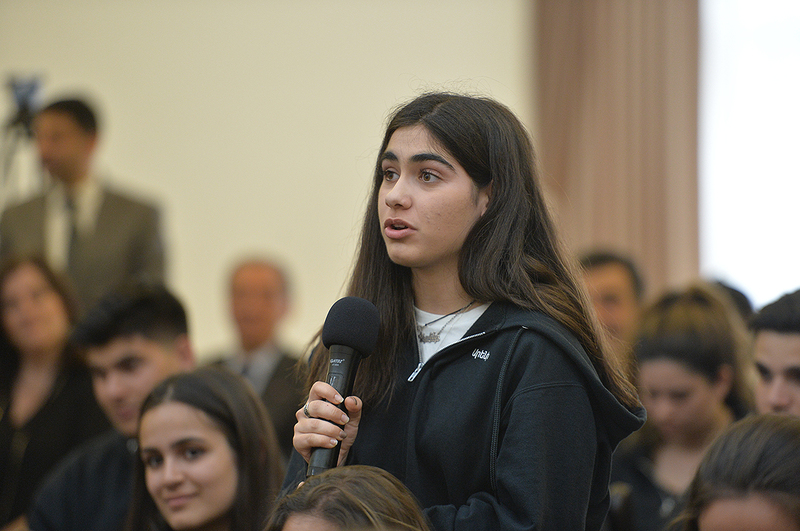 The Rose and Alex Pilibos Armenian school was established in Los Angeles in 1969 and has nearly 1000 students.